Price for 5 - 9 £2.79 ea. 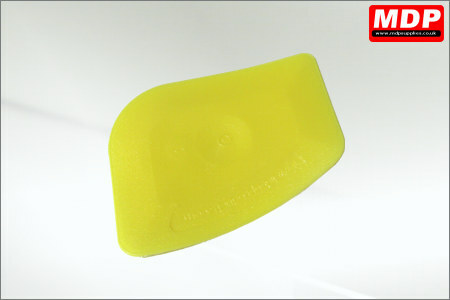 Pack of 40 plastic squeegees. 101 x 75mm. Manufactured in the UK. Price for 1 - 4 £21.95 ea. Price for 5 - 9 £20.95 ea. Price for 10+ £19.95 ea. 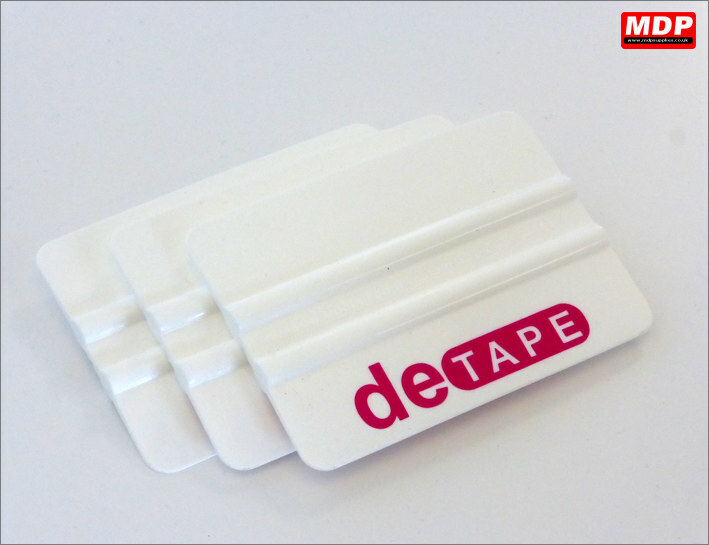 Always looking for your squeegee? It wouldn't happen with a fluorescent pink one. 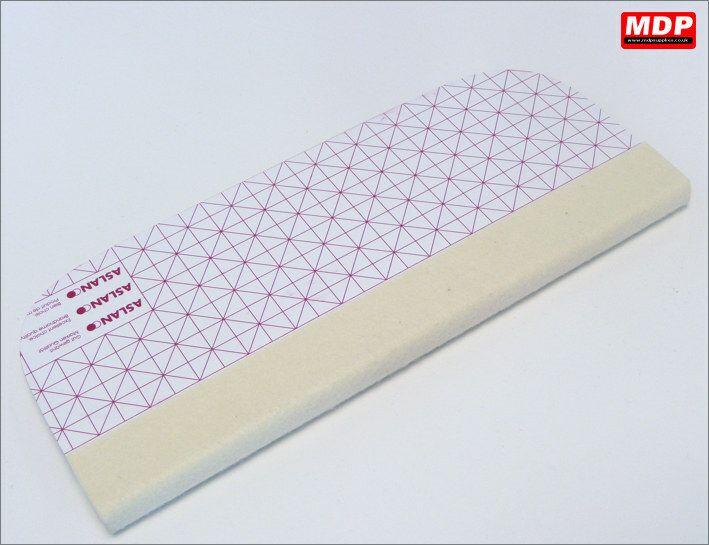 Same rigidity as a standard white squeegee. 101 x 75mm. Manufactured in the UK. Price for 1 - 4 £0.99 ea. Price for 5 - 9 £0.95 ea. Price for 10+ £0.89 ea. 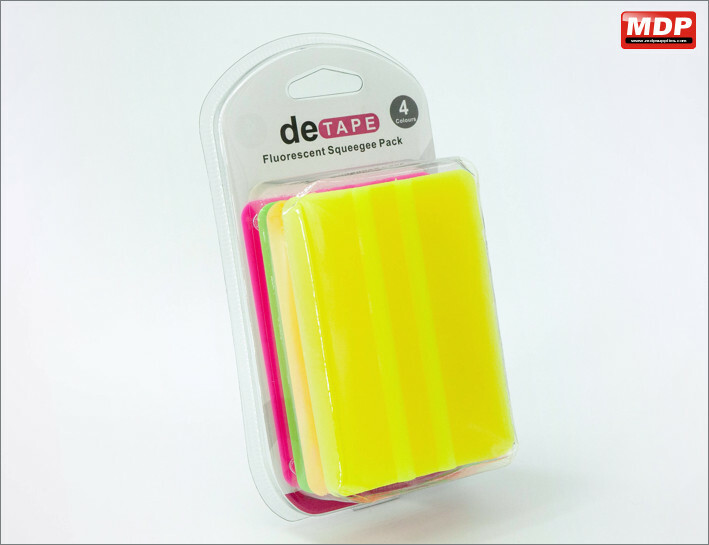 Pack of 4 fluorescent squeegees, 1x yellow, 1x green, 1x orange and 1x pink. 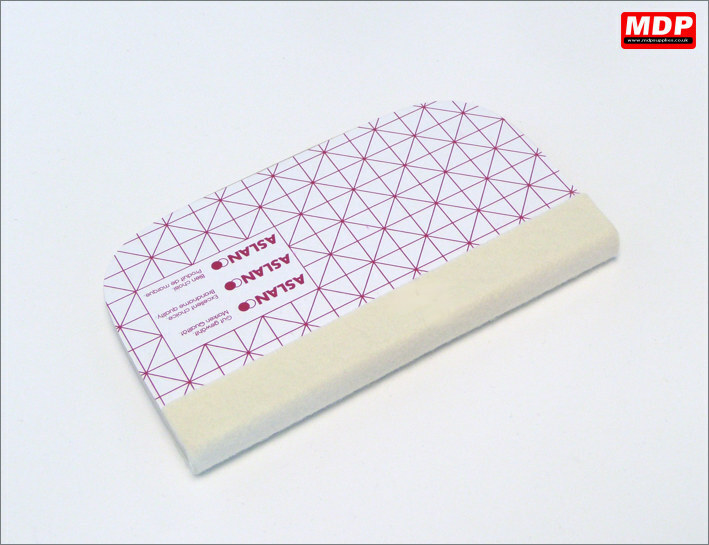 Same rigidity as a standard white squeegee. 101 x 75mm. Manufactured in the UK. Price for 1 - 4 £3.75 ea. Price for 5 - 9 £3.65 ea. Price for 10+ £3.55 ea. 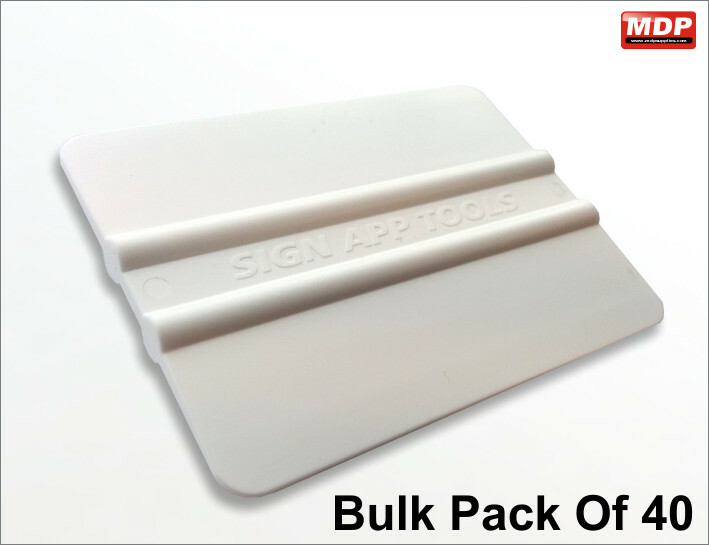 Pack containing a standard plastic squeegee, a premium felt edge squeegee and a full felt squeegee. 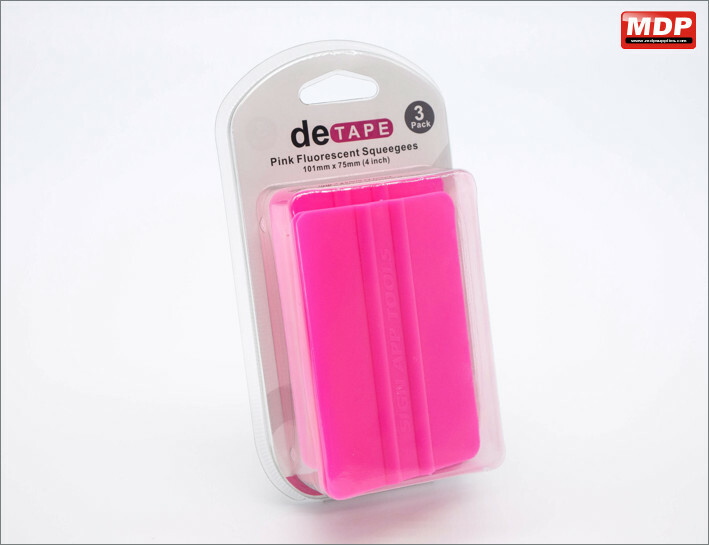 Pack of 3 fluorescent pink squeegees. 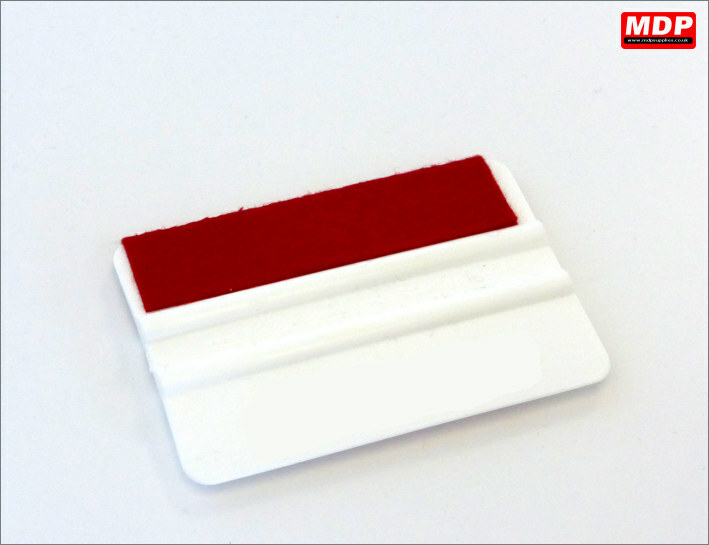 Same rigidity as a standard white squeegee. 101 x 75mm. Price for 1 - 4 £2.89 ea. Price for 10+ £2.69 ea. 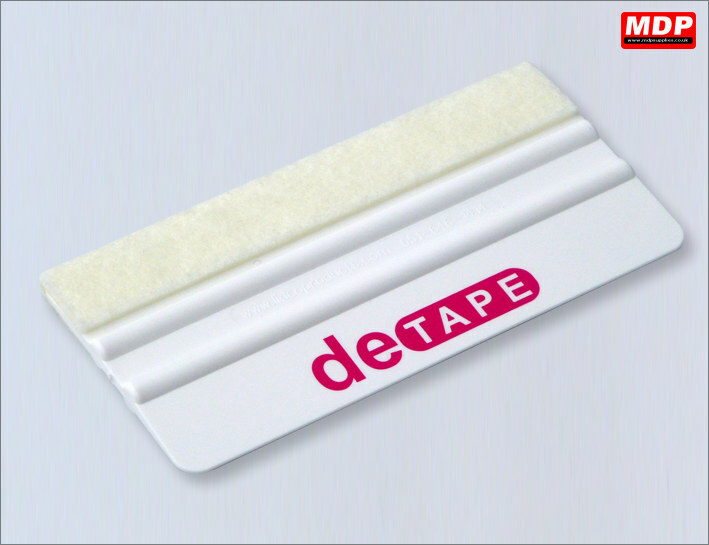 A 4 inch long teflon coated squeegee, which allows easier application of vinyl / application tape. Price for 1 - 4 £1.99 ea. Price for 5 - 9 £1.89 ea. Price for 10+ £1.79 ea. 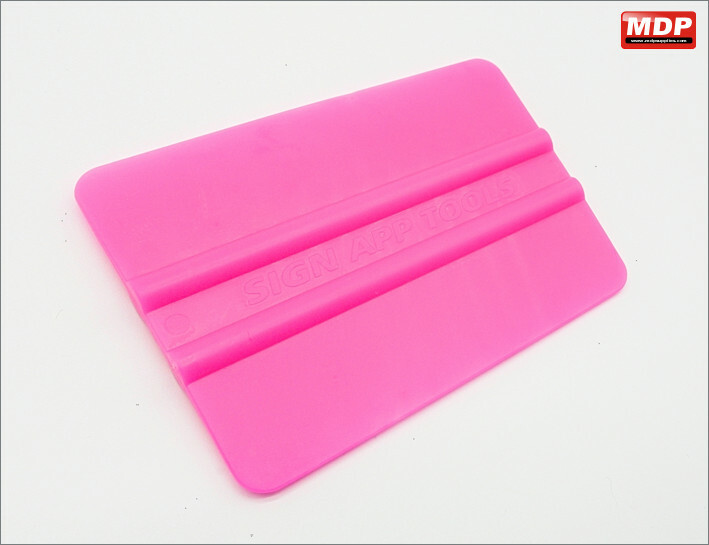 Nylon blend squeegee for smooth, scratch free application. 101 x 75mm. Manufactured in the UK. Price for 1 - 4 £1.79 ea. Price for 5 - 9 £1.69 ea. Price for 10+ £1.59 ea. 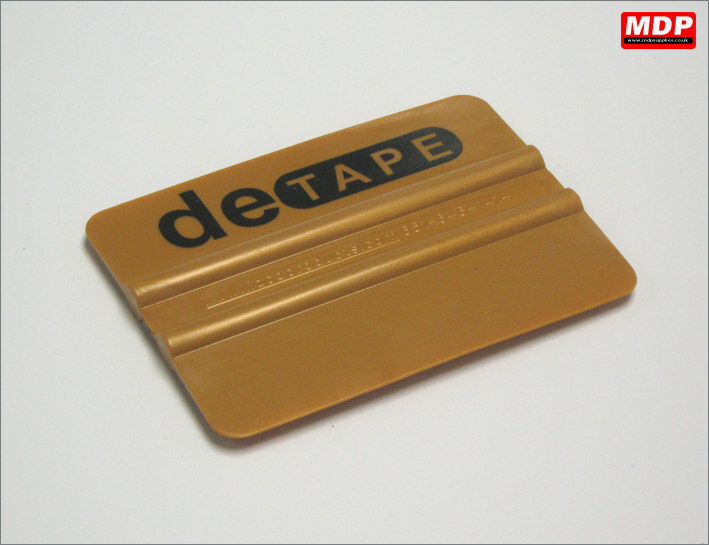 DeTape brand gold nylon blend squeegee. 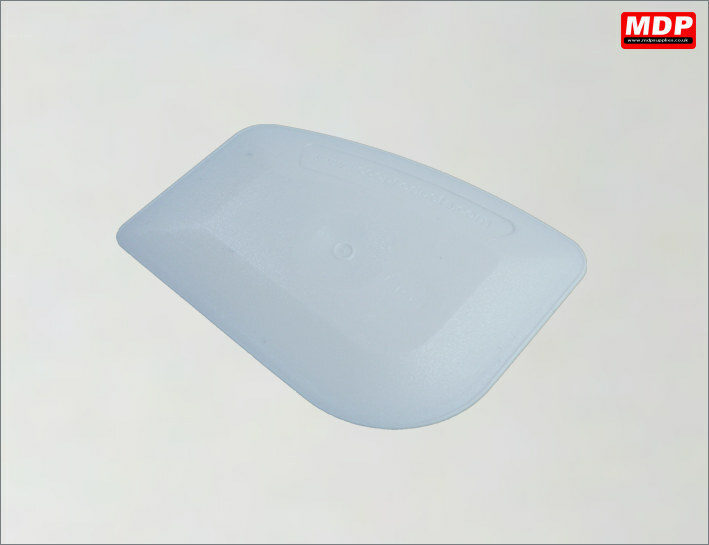 Heavy duty but pliable, will outlast and out perform regular squeegees. 101 x 75mm. Price for 5 - 9 £2.19 ea. Price for 10+ £2.09 ea. 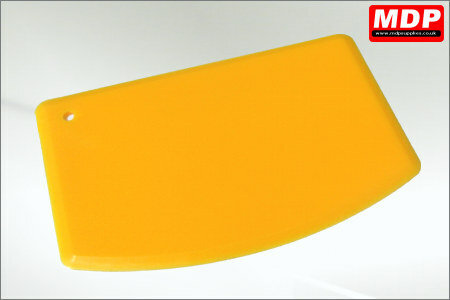 Rigid 2 inch long squeegee is ideal for small jobs or reaching corners. 52mm x 72mm. Price for 1 - 4 £0.69 ea. Price for 5 - 9 £0.64 ea. Price for 10+ £0.59 ea. 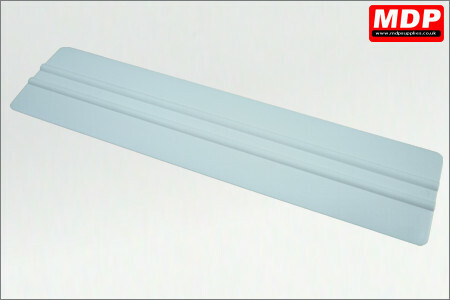 Rigid 6 inch long squeegee with rounded corners on one end and straight corners on the other. 152mm x 72mm. Price for 1 - 4 £1.49 ea. Price for 5 - 9 £1.39 ea. Price for 10+ £1.29 ea. 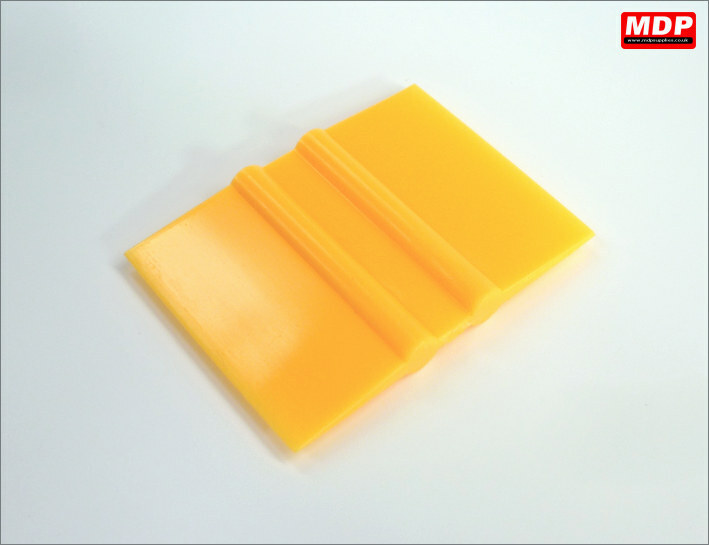 Rigid 12 inch long squeegee is the largest squeegee we do. Applies equal pressue along the length for those large jobs. 304mm x 73mm. Price for 1 - 4 £0.34 ea. Price for 5 - 9 £0.32 ea. Price for 10+ £0.29 ea. 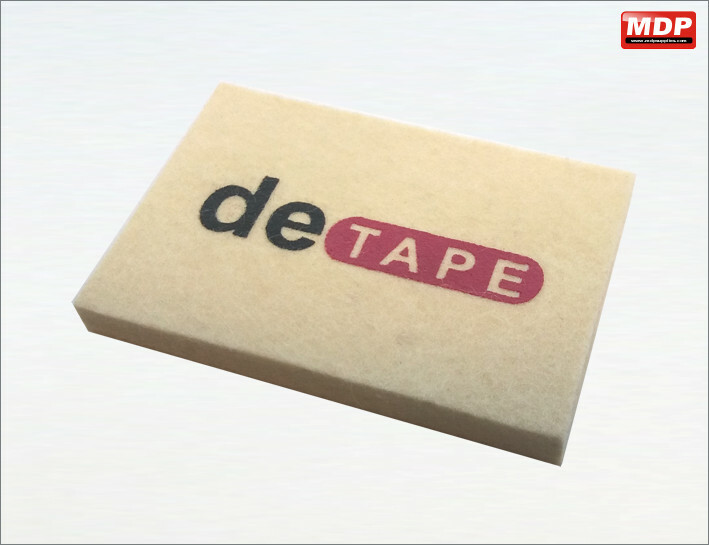 This extremely soft and flexible tool is 140mm x 93mm. 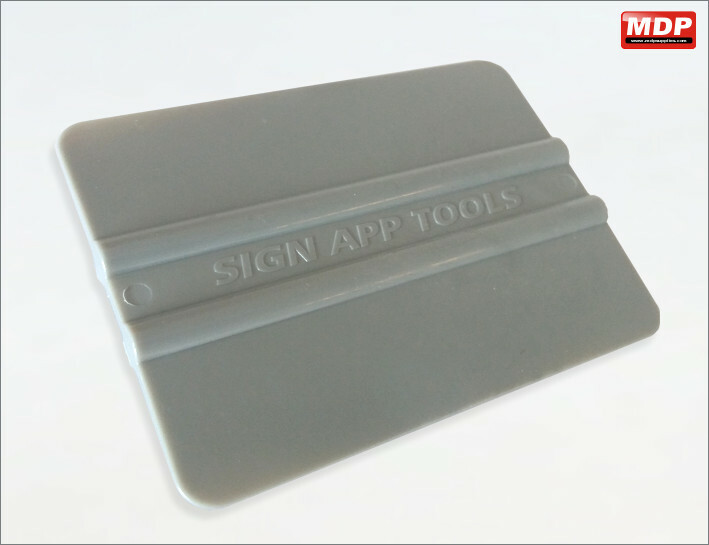 With an all-round bevel and large curved leading edge the squeegee has low to medium memory and is designed for vinyl and other material with a pressure sensitive adhesive. Price for 1 - 4 £1.29 ea. Price for 5 - 9 £1.19 ea. Price for 10+ £0.99 ea. Price for 1 - 4 £5.19 ea. Price for 5 - 9 £5.09 ea. Price for 10+ £4.99 ea. 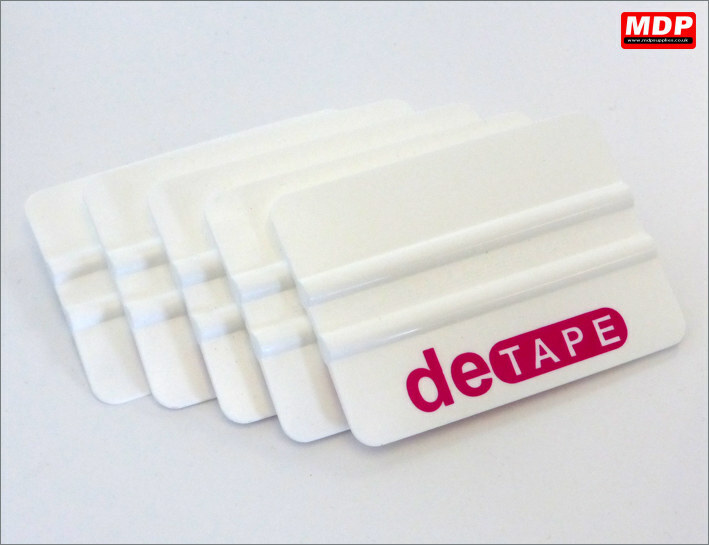 Price for 1 - 4 £7.39 ea. Price for 10+ £7.19 ea. 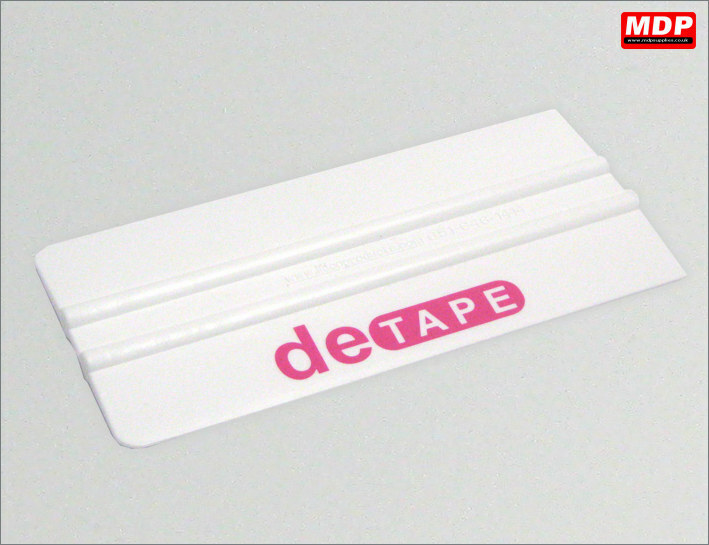 Vinyl removal tool made from polycarbonate. 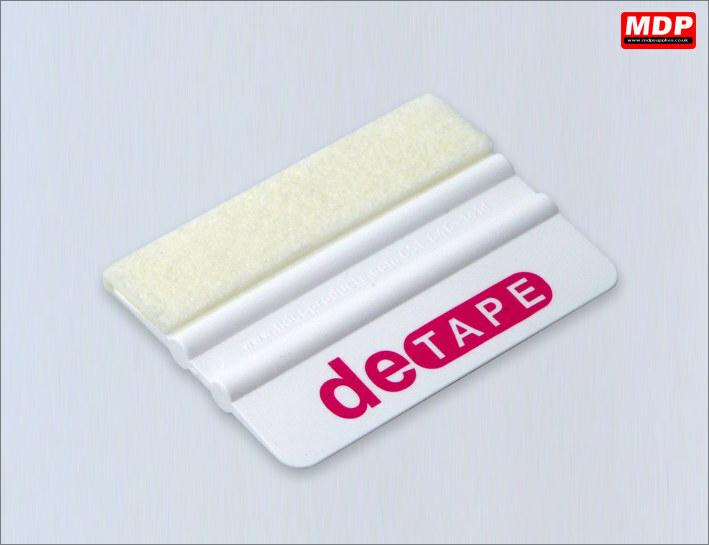 Designed for removing materials and applying others in tight corners. 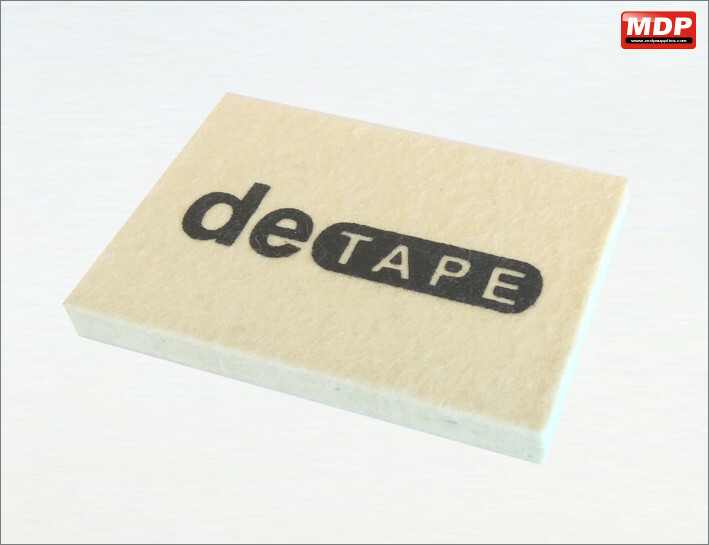 Rolled edges scrapes without marring. Price for 1 - 4 £0.55 ea. Price for 5 - 9 £0.52 ea. Price for 10+ £0.49 ea. 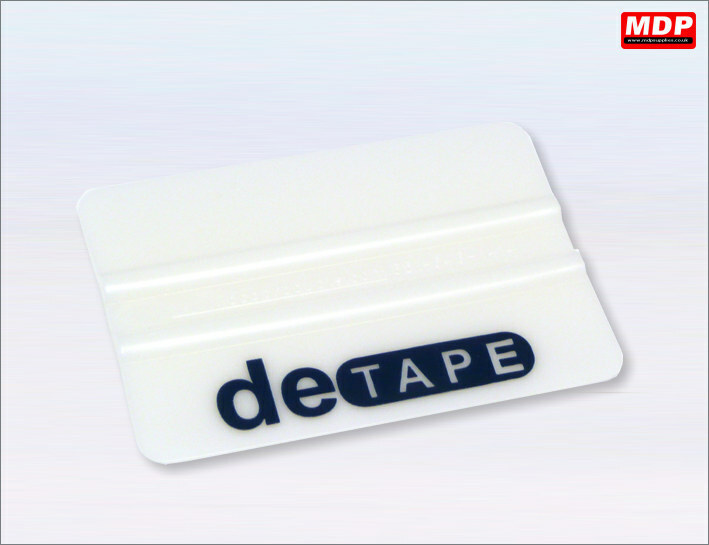 Vinyl removal tool made from polycarbonate. 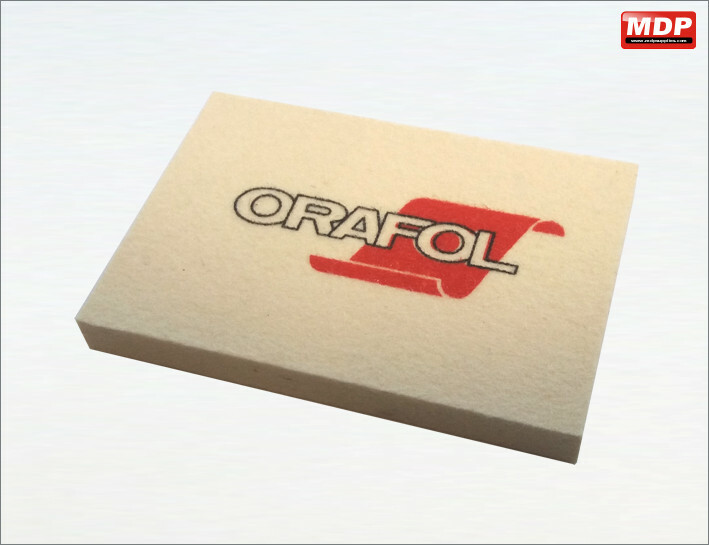 Designed for removing materials and applying others in tight corners. 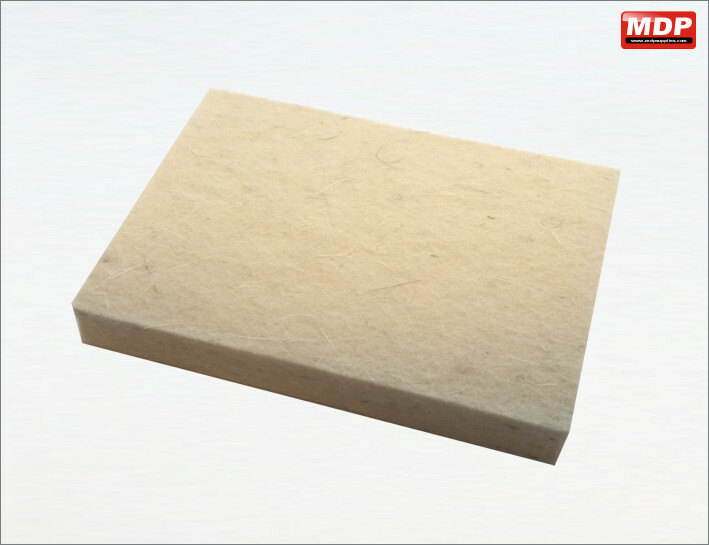 Rolled edges scrapes without marring. 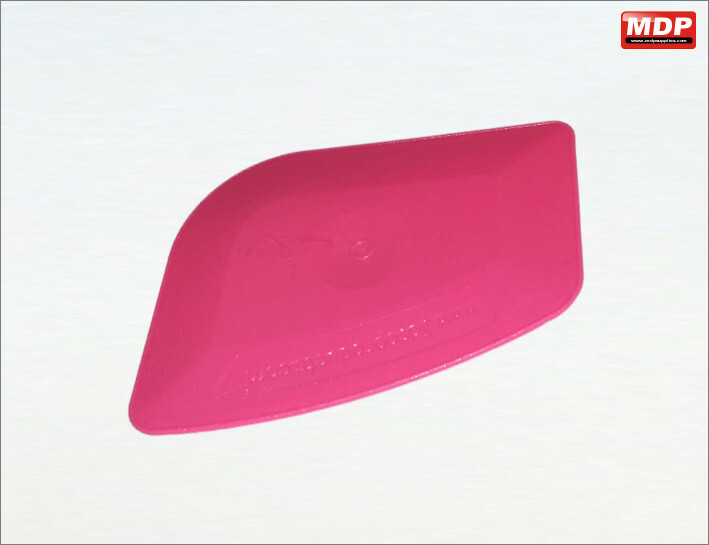 Same as pink version.